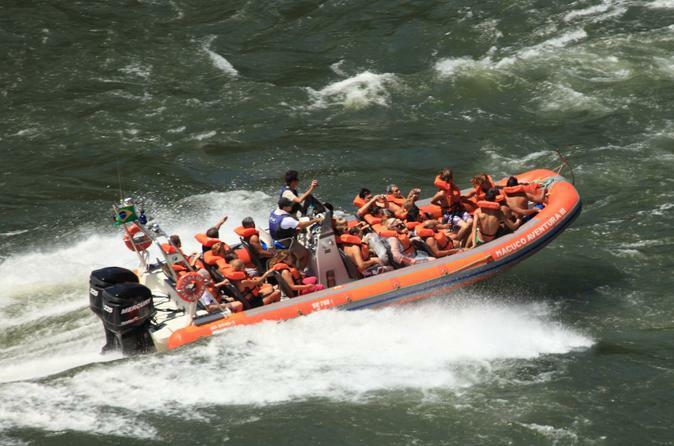 Don't miss out on the Iguassu Falls adventure of a lifetime! On this tour from Foz do Iguaçu, explore the tropical flora and fauna of the Iguassu region in an open-top vehicle, hike a hidden trail and explore the waterfalls from the water itself! 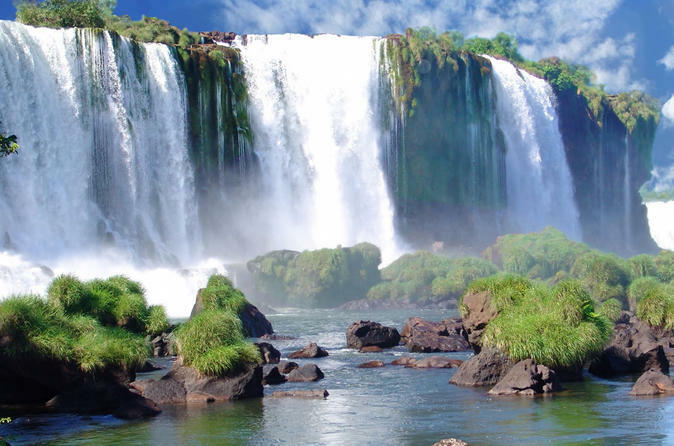 Great for adventurers and outdoor enthusiasts alike, this combo tour will be the talk of your Iguassu Falls vacation. What could be better than seeing Iguassu Falls from the air? 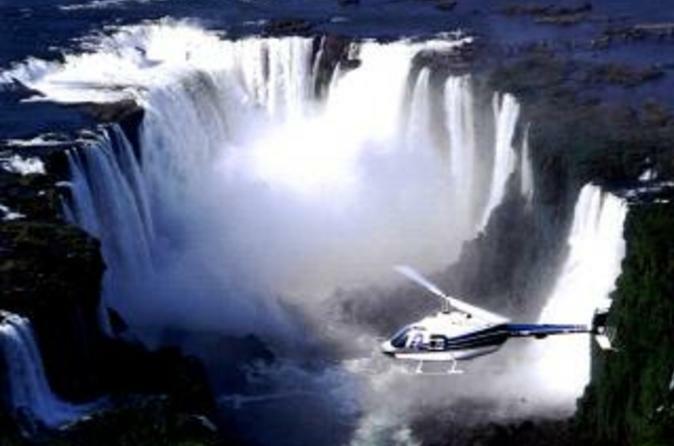 On this memorable tour from Foz do Iguaçu, you’ll jump in a helicopter and soar high above the falls for unique, bird's-eye views of this stunning landscape. This is the ultimate way to see Iguassu Falls – an experienced pilot, a comfortable helicopter and countless unimaginable photo opportunities. 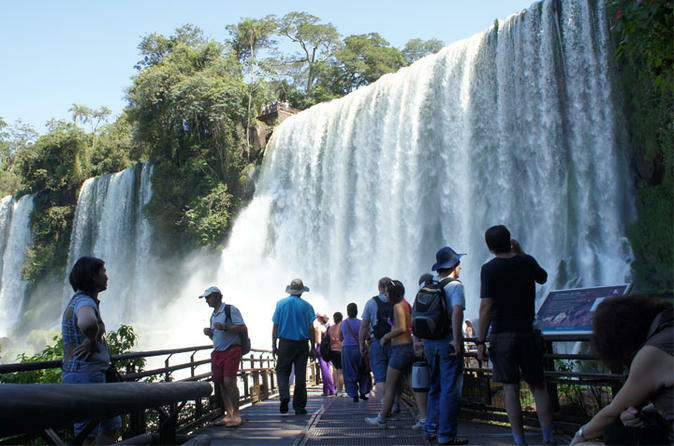 Join a guided sightseeing tour of downtown Foz do Iguaçu and travel to the Landmark of the Three Frontiers, the meeting point of the three countries in the Iguassu Falls area - Brazil, Argentina and Paraguay. You’ll learn about the culture and history of the Iguacuenses (the people of Foz de Iguaçu) and discover the local sites including a mosque and the Buddhist Temple of Foz do Iguaçu. 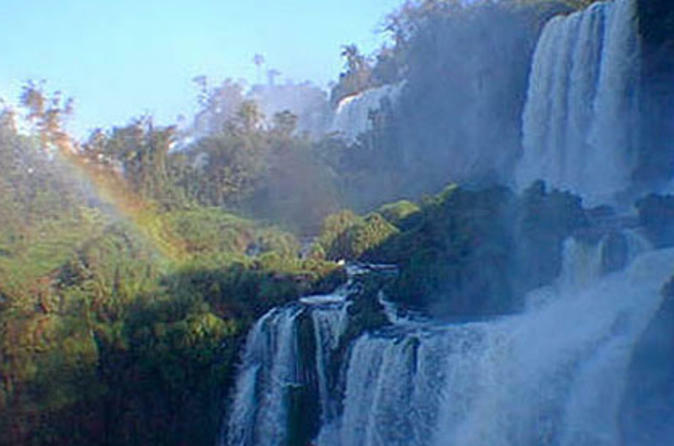 Visit Iguassu Falls on this multi-day tour! 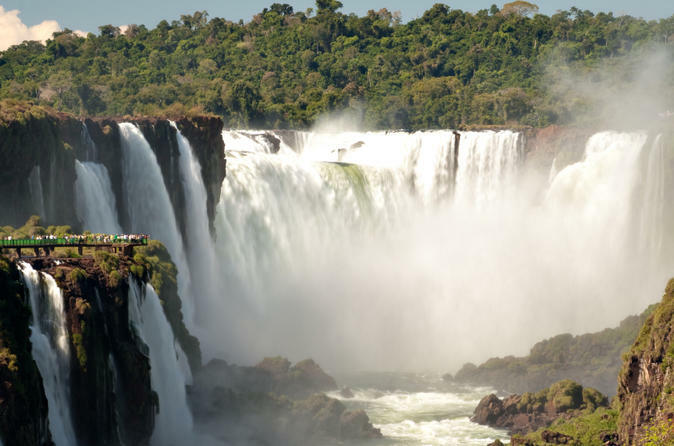 On this 4-day tour, see the famous falls from both the Brazilian and Argentinian sides with your professional, English-speaking guide. You’ll also visit the Itaipu Dam, an important energy provider for several South American countries. This easy and convenient tour allows you to get all your planning done ahead of time so you can enjoy a hassle-free trip to Iguassu Falls! The Iguassu Falls are a spectacular collection of 275 waterfalls, extending over a length of almost 3 km in an enormous canyon on the Iguassu River. 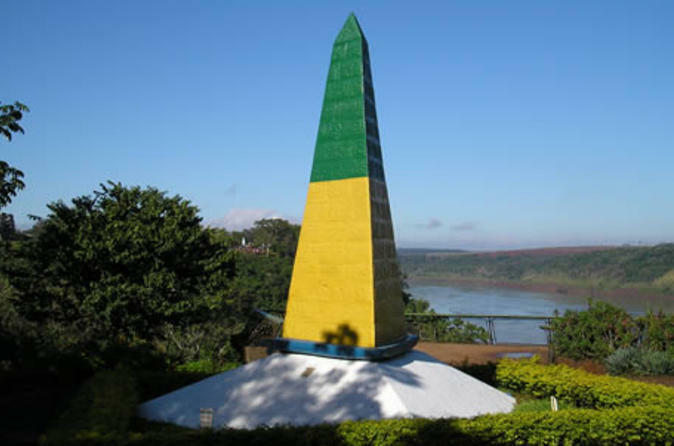 Visitors has great panoramic view of the waterfall from Brazilian side. The average flow of water over the falls is 1,700 m3 per second and the resulting clouds of spray create immense rainbows, presenting a stunningly colorful spectacle. 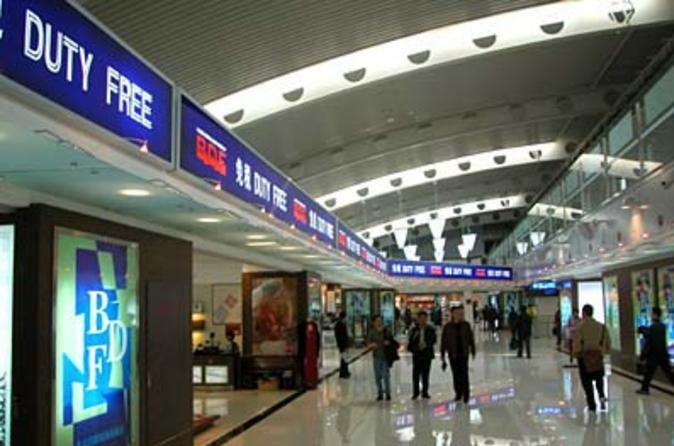 Enjoy duty-free shopping near Iguassu Falls with hotel transportation! 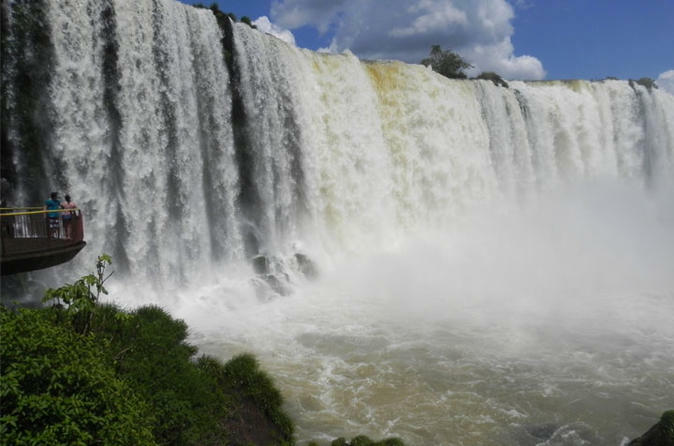 This unbeatable price is hard to find anywhere else in Iguassu Falls, so book today, and ensure that you have an easy and convenient way to shop for souvenirs, clothing, decorations and more while you’re visiting Iguassu Falls. A local guide will be on hand answer questions and help you choose the best shops.